Allow Simmons Plumbing, Heating & Air Conditioning to manage all your home comfort needs. We offer design, installation, maintenance and repairs of heating, cooling and indoor air quality systems for both residential plumbing and commercial plumbing customers. 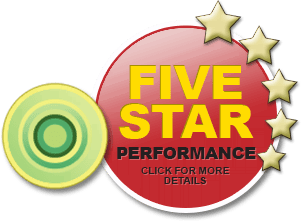 We have extensive industry experience and the knowledge required to service or repair any heating or air conditioning system from Haverhill and the Greater Merrimack Valley to Portsmouth, NH and the New Hampshire seacoast area. No matter what type of HVAC or plumbing system you need to have installed; we have the knowledge and expertise to get it done right the first time. Here at Simmons Plumbing, Heating & Air Conditioning, we offer our residential and commercial customers with premium new HVAC installation service utilizing the most efficient and reliable products on the market. With a wealth of experience, our expert team of professionals will ensure you have the best HCAV or plumbing system installed at your home or office! We at Simmons Plumbing & Heating are dedicated to providing the highest level of service and installation in both the plumbing and heating industry. Whether your project is large or small, near or far we pride ourselves in offering exceptional customer service on each and every job. Our expert technicians are professional, qualified, and fully-licensed to keep your home or business plumbing and HVAC in tip - top operating condition. 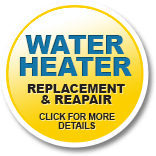 One of the best ways to ensure you don’t have major problems with your heating, cooling and plumbing systems is to have regular HVAC maintenance and repairs carried out by a proficient service provider. 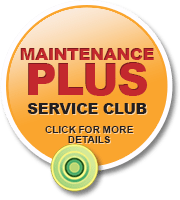 We can set you up on an ongoing maintenance program that suits the needs of your HVAC and plumbing systems. Our professionals will work out the ideal program to keep your systems and products working well all year round. We offer all of our esteemed residential and commercial customers the benefits and convenience of 24-hour emergency HVAC and plumbing services, 365 days a year! Our team of highly trained professionals are always on stand by to come out to your home or place of business, on a moments notice to repair any type of emergencies you may be experiencing with your cooling, heating, ventilation or plumbing systems. Simply pick up the phone and call our toll free number on 1-800-929-8339 for all types of HVAC and plumbing services, repairs, maintenance and installations!